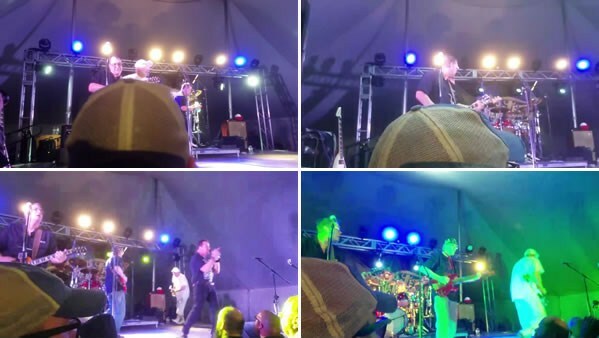 Watching the One Bad Pig show last weekend, I noticed a guy who came walking sideways with a camera through the front of the crowd a few songs into their set. I had no idea this guy camped out behind me for the better part of five minutes. On one hand, I don't feel too bad for people who try record an entire show from the front of the crowd. On the other hand, if this guy would have asked me to move over twelve inches to my left, I totally would have to give him a clear shot and to keep the back of my head out of a good chunk of his live feed. Here's the whole thing if you're curious about the Pig. I'm not sure where this conversation started, but I overhead the girls talking today about other names for hell. On a serious note, for any of you struggling to accept the importance of the #BlackLivesMatter movement, let me offer you about 60 seconds of reading. This article might be a year old, but it couldn't sum up my thoughts more perfectly. For real. I know I share videos and links here all the time. But if you don't ever click any other link I share, please take a minute to read this one. If your reaction to loss of life is anything outside of compassion, we follow different gods.